What Happens When the Voice of NPR Meets André 3000? 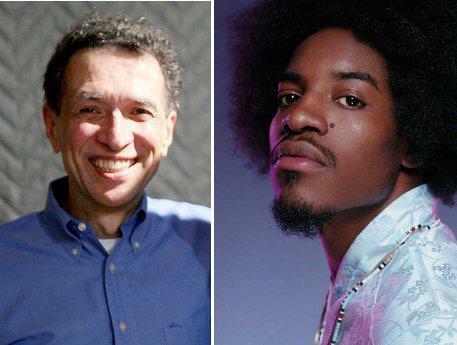 NPR's Frank Tavares and Outkast's André 3000. "Two names you never thought you would ever hear in the same sentence: hip-hop artist André 3000 and NPR's Frank Tavares," said the latter. 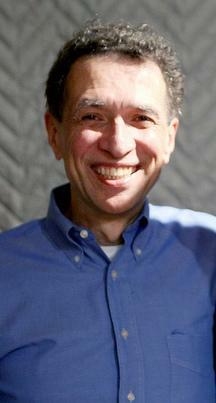 He's been the voice of NPR for more than three decades. But Frank Tavares is wrapping up his tenure later this year. Not sure exactly who I'm talking about? We admit, it will take some time to get used to not hearing Frank throughout our day. But fortunately, his voice will live on thanks to his appearances on WNPR's Where We Live and the Colin McEnroe Show. But a whole generation might remember him by his appearance on a song by Capital Cities, featuring Outkast's André 3000. The song is called "Farah Fawcett Hair." There is a non-FCC-approved word in the lyrics of the chorus. How did this relatively-new, Los Angeles-based band convince Tavares to lend his talents? It had a lot to do with former New York Yankees shortstop and broadcaster Phil Rizzuto and...Meat Loaf. Rizzuto made an appearance in the middle of "Paradise by the Dashboard Light" (it starts around 3:36). When Tavares was approached by Capital Cities his mind went straight to Rizzuto. "I remember thinking, this would be kind of like doing a Phil Rizzuto cameo! That would be really cool!" he said. Listen to Tavares talk more about Rizzuto and the process of working on "Farah Fawcett Hair." I'd like to revise the quote at the beginning of this post. "Three names you never thought you would ever hear in the same sentence: hip-hop artist André 3000, Farrah Fawcett and NPR's Frank Tavares."